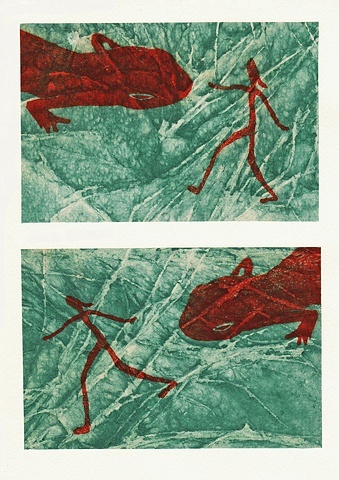 This print, part of a series, reflects what I imagine that the newts might think of me. I printed solar plate etchings on patterned kozo paper that I made specially for this series. This diptych is one of two similar ones with each individual images also available as separate prints on slightly different background papers.